At present, the international first-line sport shoe brands on the market include Asics, Brooks, Saucony, Mizuno, Nike, Adidas, Nimbus, and etc. It seems like consumers are being spoilt by so many choices. From the perspective of functionality, we should narrow it down to a more simple function one. Sports shoes are based on the mechanics of biological movement. They are developed according to the sports characteristics of different groups of people. So the different foot and joint force determines the functionality of the design of sports shoes which include the table tennis shoes. Most of the emerging technologies on table tennis shoes are also developed and explored around these factors. When coming to the game of table tennis, many people are facing the problem of buying the right shoes; some players may think it is not necessary for them to buy the suitable shoes to play the game. While for some players, they are willing to spend hundreds of dollars on particular rubbers and for a perfect paddle, but when coming to table tennis shoes, they only spend 50 to 60 bucks for a pair of shoes. Let’s face it honestly, if you happened to buy the wrong equipment, you may be just going to lose a point on a game. But if you get an issue from your neck, heels, tendons, and feet, what consequences are you going to have? You may lay on your bed or in the hospital for 1 or 2 weeks for treatment and all these happened is because you don’t want to spend money or choose the right table tennis shoes for yourself. It is just not worth it at all! So, now you can choose from either to opt for shoes and your health or a perfect setup for your blade and rubber? The answer is rather obvious, this is going to make a big difference. Health is always a priority for everyone. It is not winning the game but to keep yourself in good shape when you are playing the game on the ground. Thus, by now I am going to discuss with you on the Asics Gel-Hunter 2 shoes. This is the shoes that can offer you with good support and cushioning. Besides, it can also provide you with a lot of jumping, shot, moving and pushing. This is the shoes that I use right now. The reason I got them is because of the cushioning you get inside that provides great support. If you wear the shoe, it has a cloth material pad inside the shoes and is pretty comfy to wear it all day. Before I make up my mind to buy this table tennis shoes, I actually do some researches on the internet and I shortlisted down to 2 pair of shoes. I finally choose this Asics Gel-Hunter 2 because it is described as being able to wear to play with table tennis and badminton. So it is a perfect combination for me. Generally, ideal table tennis shoes should consist of the characteristics of lightweight, comfortable, sufficient cushioning, good grip and with high quality. For this Asics Gel-Hunter 2, it definitely features with all the above-mentioned characteristics. The color for the shoe is white blue so the version of the shoes makes me feel they are a pair of well-balanced shoes but finishing can be a little bit better. You may observe some stitching flaw on the shoe which is not actually pushing the surface of the shoe and sew a little bit over. Also, there is a little blemish on the inside of the shoe which is not a tearing issue which can cause a weakness in the shoe. More of the concern is on the inside of the shoe, that is a flap of material which is quite firm like and my concern is if I wear the shoe frequently in and out, will the shoes get pull-back completely? Well, I will need some time to figure it out. The upper is constructed with the woven mesh surface technology, and the venting hole is wider than the previous generation. It is no longer like the “machine filter” of the car, which increases the permeability to a certain extent. The overall design is sleek and fashionable. It is a low-key shoe but it can provide with great flexibility. This is the perfect interpretation of Asics Gel-Hunter 2 which is high-end, low-key, luxury, with connotation. Overall, this is a very light shoe and your feet with feel very comfortable when wearing on it. It is very grippy and provides great support for your feet. It is a great table tennis shoe that can offer good dampening and stability. Even the selling price may be a little high for some people, however, with its lightweight and great grip features, it is just well worth the price that you are paying for. You may need to take some time for the shoes to fit well with your feet. I can foresee everyone can wear the shoes and last with it for a few years before change for another new one. You can get this shoe with a great introductory price. You shouldn’t worry of the quality as it is built with great material and is guaranteed on the quality that you will get with these pair of shoes. It won’t compromising the essential functions. There are some great features of the shoe which including the Forefoot GEL Cushioning System which is built with the purpose to attenuate the landing impact of the forefoot. Ther is also a PGuard being built in the shoe to protect your upper foot. You can ge this pair of shoes and wear to play table tennis. It will give you a very comfortable feel and you will be able to play a wonderful game. 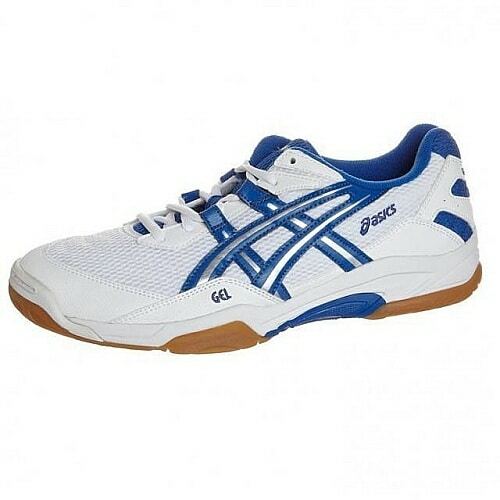 Where from thisASICS -GEL -HUNTER-2 Table tennis shoes we can get these shoes in india ?